I was browsing my blog reader over the weekend and saw this post on Poppytalk about building a rock shelf, but I was more taken with the large black canvas featuring a quote that sat above said shelf. You know I am a sucker for a canvas with words on it. 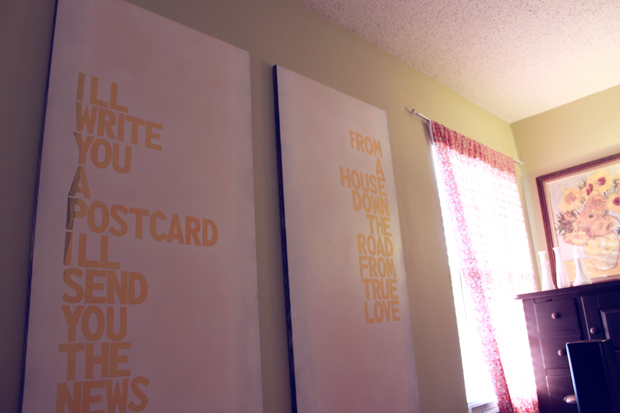 My bedroom has two large canvases that feature lyrics from a favorite Stars album. 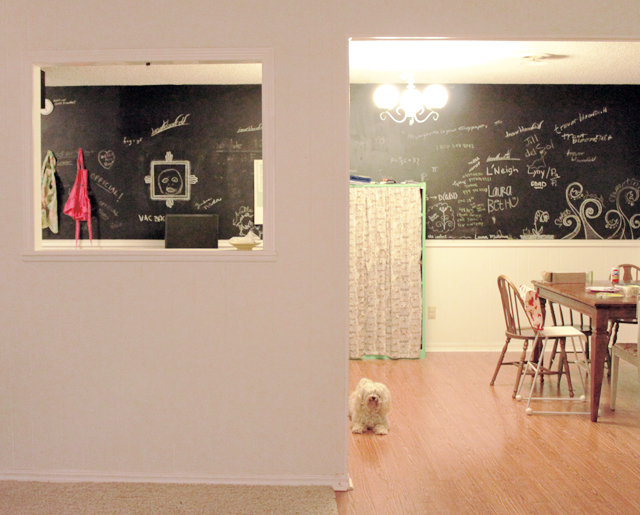 So, I am hoping to finally solve a design dilemma in my living room: Covering up this ugo fake window with a large canvas painted with a favorite quote. I am not trying to be redundant with my decorating ideas, but I think that some large art will fill this space nicely and create a nice eye flow on the wall. 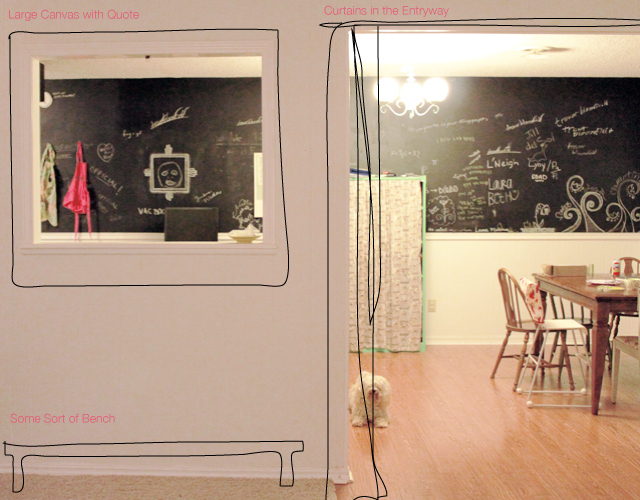 And here's my super duper quick ghetto mock-up of what I envision the space looking like when it is all done, complete with a bench underneath the canvas, and some nice flowing curtains in the entryway.